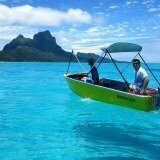 Getting around Bora Bora is different to most other vacation destinations! Boat is a main form of transport as Bora Bora's unique geographic layout has a ring of little islands surrounding the main island. But there are other ways to get around too! 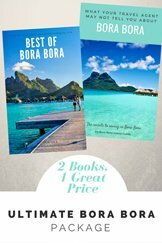 Here's all the things you need to know for getting around Bora Bora. 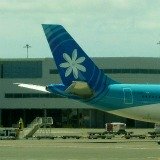 Air Tahiti offers passengers a free shuttle boat between the airport and Vaitape as part of Bora Bora flights. 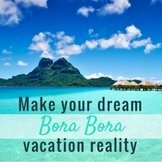 The Bora Bora luxury resorts pick up their guests at the airport. Some offer this as a complimentary service, others charge. 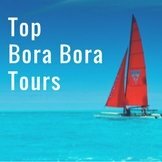 For information on Bora Bora boat transfers from the airport island to your resort, visit our flights to Bora Bora page. 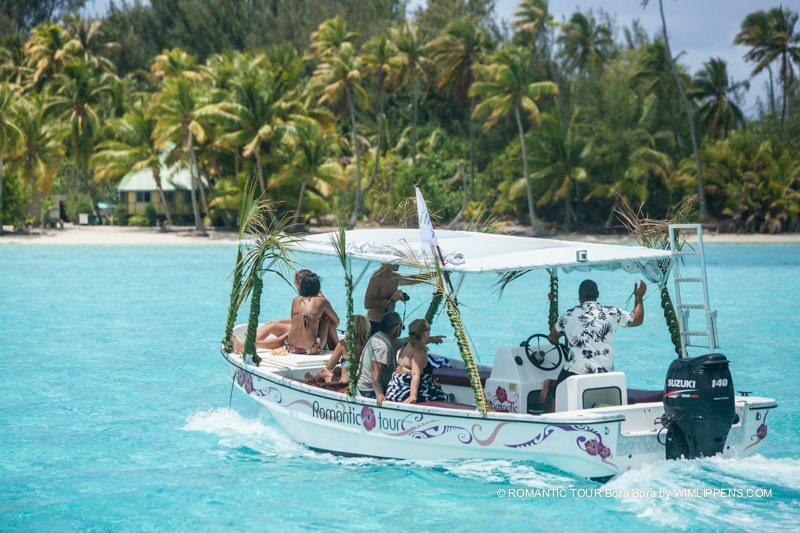 Each Bora Bora resort located on a motu has it's own shuttle boat and offers scheduled trips to the main island. Some resorts have a free service, others charge. 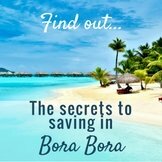 Find practical details on Bora Bora resorts here. 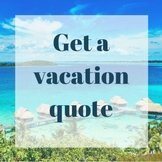 A more affordable option to the resort shuttle, and also more luxurious, is to book a private transfer from the airport to your hotel online. These transfers cost significantly lower than the resort transfers. Public transport on the Tahitian islands is called le Truck. 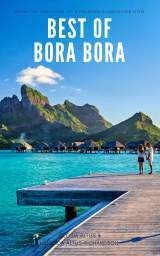 On Bora Bora it runs in conjunction with school and ferry hours. 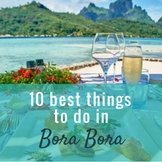 Although the service is good on some other islands, it has a reputation for being irregular on Bora Bora. 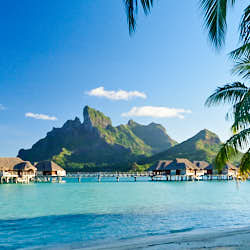 Taxis can be hailed or pre-booked on the main island of Bora Bora. 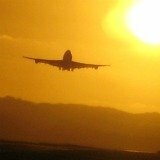 Their fares can vary so check before getting in and agree on a price. After 7 pm taxi charges increase. 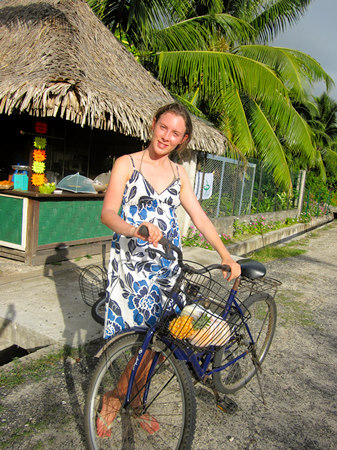 Getting around Bora Bora by bike is an affordable way to get around the island. (Do keep an eye on your rental bike while sight-seeing.) They can be hired at some resorts but it's cheaper to rent them outside of the resort. 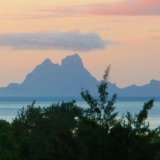 Little Bora Bora Island is perfect for cycling. 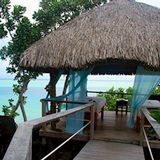 The circle island road around the perimeter is fairly flat, the scenery is amazing and you will be enchanted by the fragrance of tropical flowers. Avis, Europcar and Farepiti Rentacar have offices in Vaitape for renting out cars and scooters. Book ahead as there are not many vehicles available for hire. If you drive at night, watch out for bikes and scooters without lights. Buggy rental (seats 2 people) is also available for getting around Bora Bora and is cheaper than car hire. 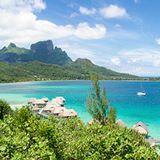 Your driver’s license from your home country will be honored in French Polynesia. Driving is on the right-hand side of the road. 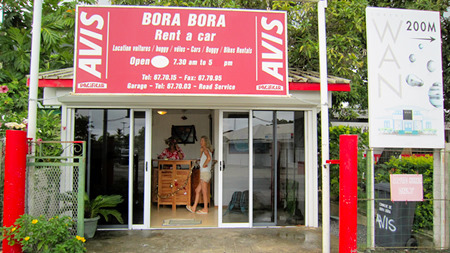 If you are planning on hiring a car have a look at our guide to Bora Bora sites on the circle island road. 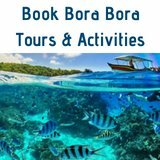 In island paradise, boat is a main form of transportation and you can take a variety of Bora Bora excursions around the lagoon in Bora Bora. Travel in a 4x4 safari to explore the island's rugged interior and experience a totally different adventure. Or you can have the exhilaration of a scenic helicopter tour with amazing aerial views. 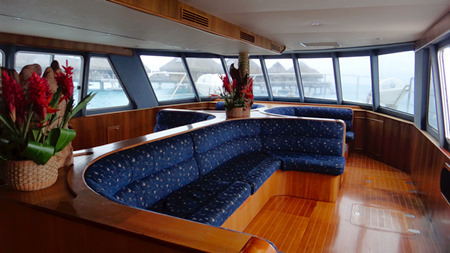 If you want to sail around Bora Bora, yacht charters are available from nearby Raitea. 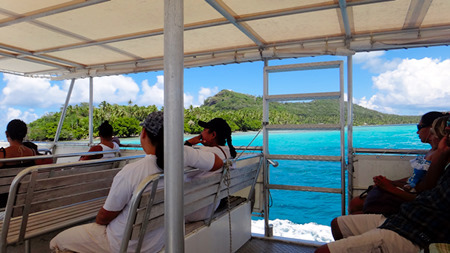 There is a ferry that goes between Bora Bora and Raitea daily. 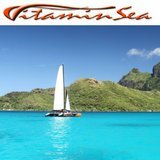 Boat charters can come equipped with a captain, or if you are experienced, you can sail on your own. Fishing boats can also be chartered for deep-sea fishing. 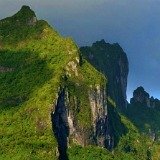 Sailing Tahiti provokes the senses unlike any other voyage on earth, read about how to sail in Tahiti.